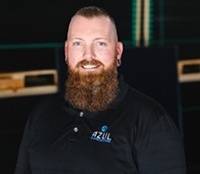 Azul Roofing Solutions’ COO and co-founder Eric Perry has been at the top of the roofing game in Arizona for his entire life. The son of a roofer, Eric was literally born into the job. With a proven track record for delivering flawless work on-time and on budget, Eric understands the realities of Arizona's harsh desert climate first-hand. Whether repair or replacement, commercial or residential, Eric has probably put a roof on it. When Russ Patzer left his job as an Intel engineer to start Sun Valley Solar Solutions he had a clear mission: change how people power their lives to help them save money while ensuring a more sustainable future. Millions of installed solar watts later, Sun Valley Solar Solutions is among the most successful solar companies in the United States. Recognizing that any solar array will last only as long as the roof to which it is mounted, Russ has now turned his innovative mind to the world of roofing—tapping into the experience and passion of veteran roofing professional Eric Perry to help him re-imagine roofing through modern, eco-conscious principles and products. Download Our Roofing Guide: "What is your Roof Trying to Tell You?" This paper is a guide to help you better understand the many factors that can cause your roof to need repair or a replacement along with informing you on the early warning signs your deteriorating roof may be trying to tell you.